In computing, a fork bomb (also called rabbit virus or wabbit ) is a denial-of-service attack whereby a process continually replicates itself to deplete available system resources. Fork bombs operate both by consuming CPU time in the process of forking, and by saturating the operating system's process table. A basic implementation of a fork bomb is an infinite loop that repeatedly launches the same process. 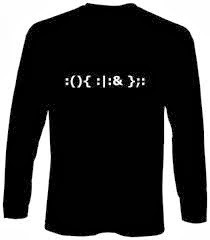 In Unix-like operating systems, fork bombs are generally written to use the fork system call. As forked processes are also copies of the first program, once they resume execution from the next address at the frame pointer, they also seek to create a copy of themselves; this has the effect of causing an exponential growth in processes. As modern Unix systems generally use copy-on-write when forking new processes, a fork bomb generally will not saturate such a system's memory. 1. The bomb is executed by pasting the following 13 characters into a UNIX shell such as bash or zsh. It operates by defining a function called ':', which calls itself twice, once in the foreground and once in the background. The reason some one can start a fork bomb and make it a success is that you have not limited user processes. You can limit how many process a user or group can start on your linux box by editing /etc/security/limits.conf file. Making correct changes to the limit.conf would make sure that any user can not spawn any number of process he/she wishes. You can edit the file as a root user. The soft limit will not stop you from adding new process however you will be greeted with a warning. The hard limit is the actual limit after which you can’t add more processes. Now, save the file and test the new configuration by dropping a fork bomb.